If you are in a clinic at Greater Boston Legal Services offices, click the "Clinic" link. Otherwise, click "Start interview". Learn more about MADE. 1. 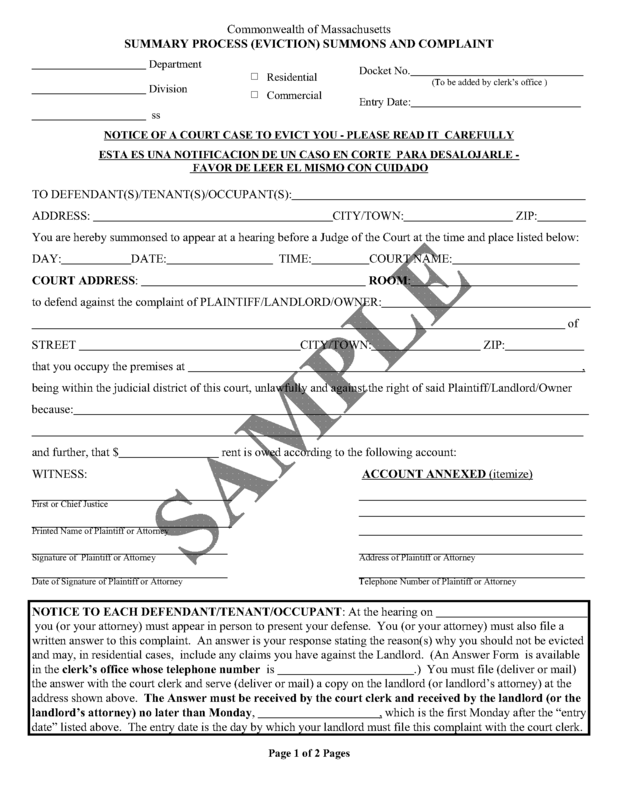 The Summons and Complaint you received from your landlord. 2. 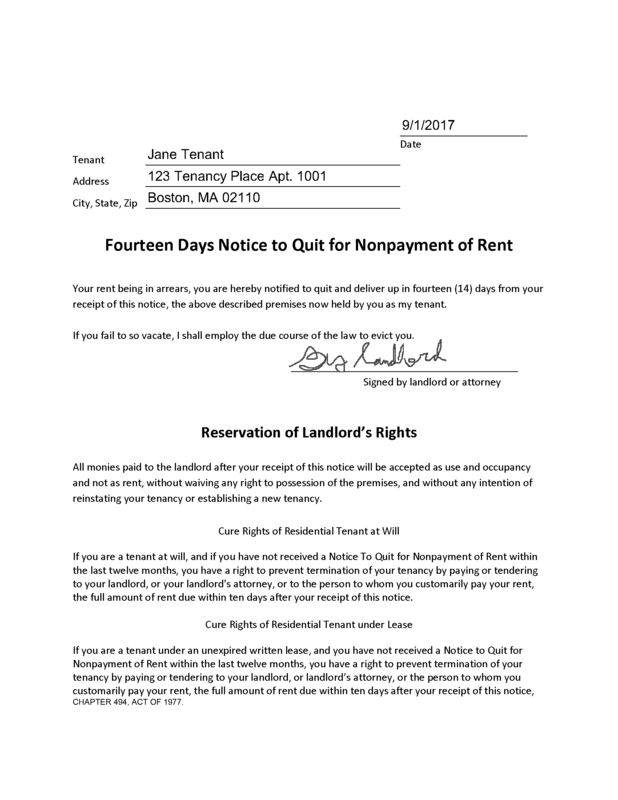 Notice to Quit or Notice to Terminate Tenancy, if you received one from your landlord. There is no standard form and it might not look like the sample. 3. Access to a printer. You may be able to print the finished interview at your nearest Court Service Center.